Reomart Pty Ltd use 500 Mpa reinforcing bar and coil made from fully recycled material, Our 500 Mpa bar comes in a range of bar diameters including 10mm, 12mm, 16mm, 20mm, 24mm, 28mm, 32mm, and 36mm and all 500 Mpa bar has a ribbed profile. Diameters over 36mm are available upon special order. Smaller diameters are available in 250 Mpa grade plain round bar. Our reinforcing bar comes in a variety of stock lengths - 6 & 12 metres. We also have the capacity to cut and bend our reinforcement to address the specific requirements of your project. 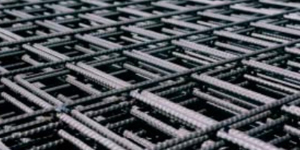 At Reomart we are aware of the demands placed on all reinforcing steel and as a result of this we place a great deal of emphasis on our commitment to quality. Since 1998 we at Reomart have proven ourselves as the independent company prepared to meet the challenge and provide a genuine alternative to our customers.